Although more careful in wording than usual German chancellor Angela Merkel sent her major message to her UK counterpart: after #Brexit the UK should feel the difference of what is being ‘in’ and ‘out’ of the EU. Seemingly setting the UK as the ‘negative’ example remains a political priority chosen as a necessary measure to prevent the contagious effect of Brexit on the other member-states unhappy with Brussels lead. However the perspective of staying together chained by fear does not serve the popularity of the project among the citizens, and the vision of Brexit talks as the EU27 conspiracy against Brittons reflected in the need to state the opposite. 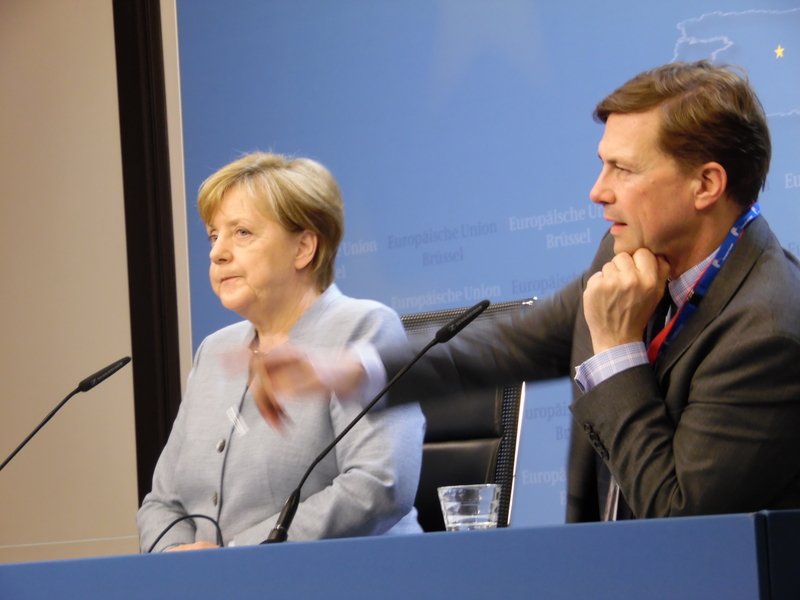 “Very natural that we 27 now want to speak with one voice”, – Merkel said. – “Doesn’t mean we have an alliance against UK.” She also welcomed the idea of the UK early elections, empowering government in upcoming talks. However there are the presidential elections in France that are the real ordeal for the EU27 hoping for the victory of pro-European candidate Emmanuel Macron, but there is no guarantee that the establishment successor will ascend power. In profound existential crisis the European project might face the perspective of being dissolved before the end of the Brexit talks with the UK in case Marine Le Pen wins the elections, and organises Frexit – the referendum on the EU membership.